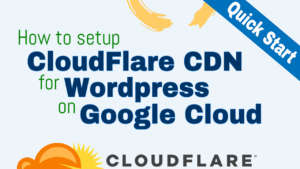 In this quick-start tutorial you will learn how to configure free, auto-renewing SSL certificates for WordPress websites that are hosted on Google Cloud compute engine using the Click-to-Deploy version of WordPress on Google Cloud. If you’re using the Bitnami version of WordPress on Google Cloud, you can view that SSL certificate tutorial here. 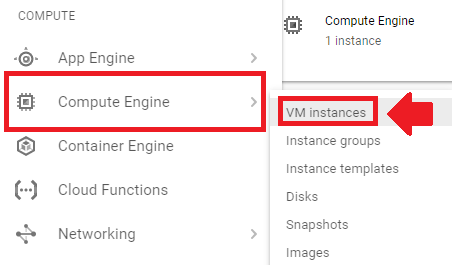 Click the SSH button to connect to your VM instance. 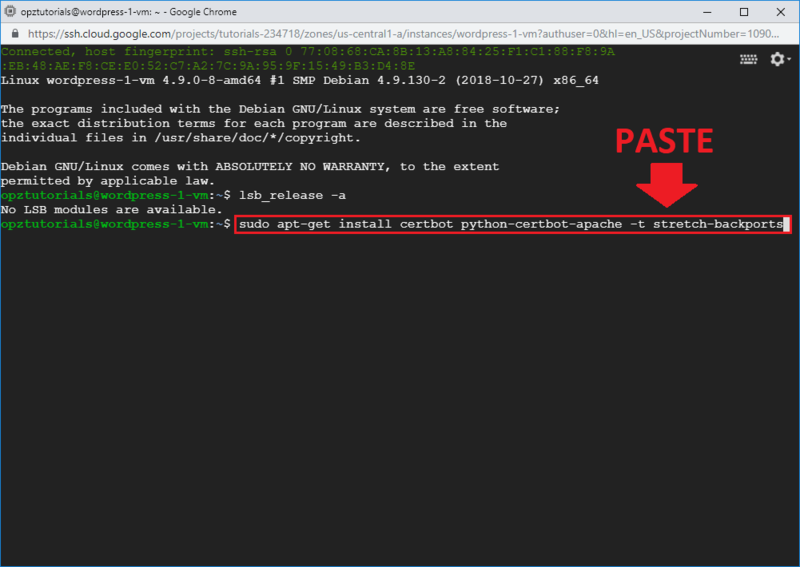 Now that you’ve connected to your VM instance, paste the command below in your terminal in order to check your operating system. 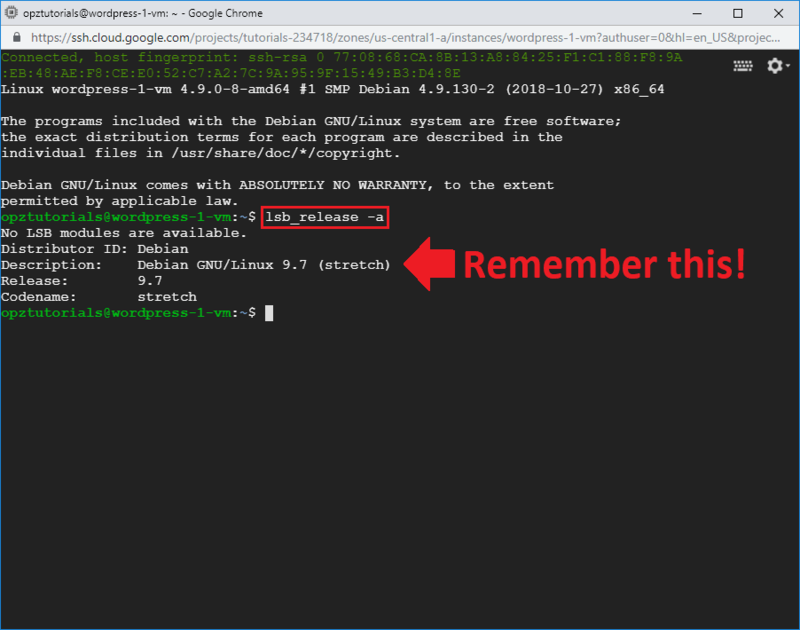 After running the command, take note of the operating system, which is Debian 9.7 (stretch) in this example. 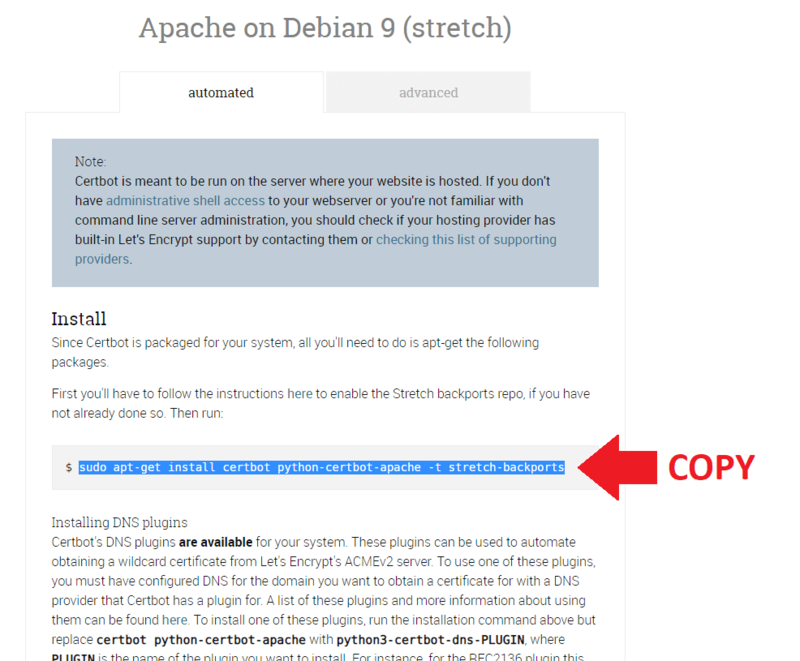 Return to your web browser and navigate to certbot.eff.org and select Apache from the Software dropdown, then select the correct operating system based on the output from Step 2 – which was Debian 9.7 (stretch) in this example. 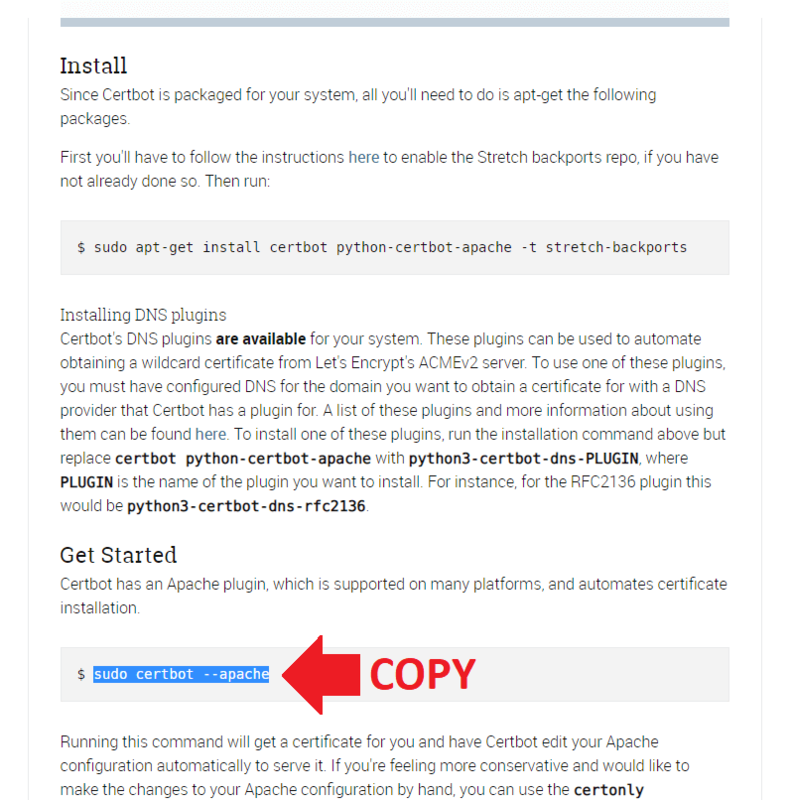 After selecting your system specifications from the dropdowns, scroll down the page and copy the the command to install Certbot. 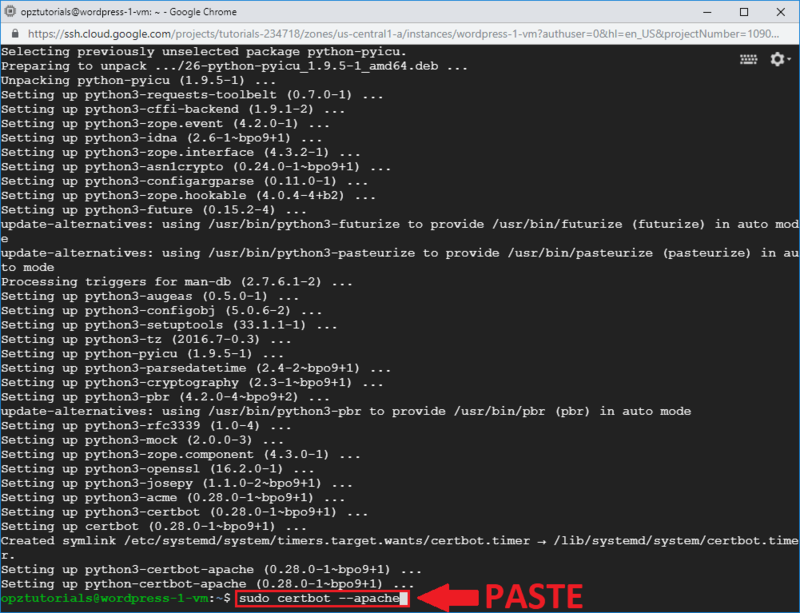 Next, go back to your SSH terminal and paste the command that you copied, then press Enter to execute the command. 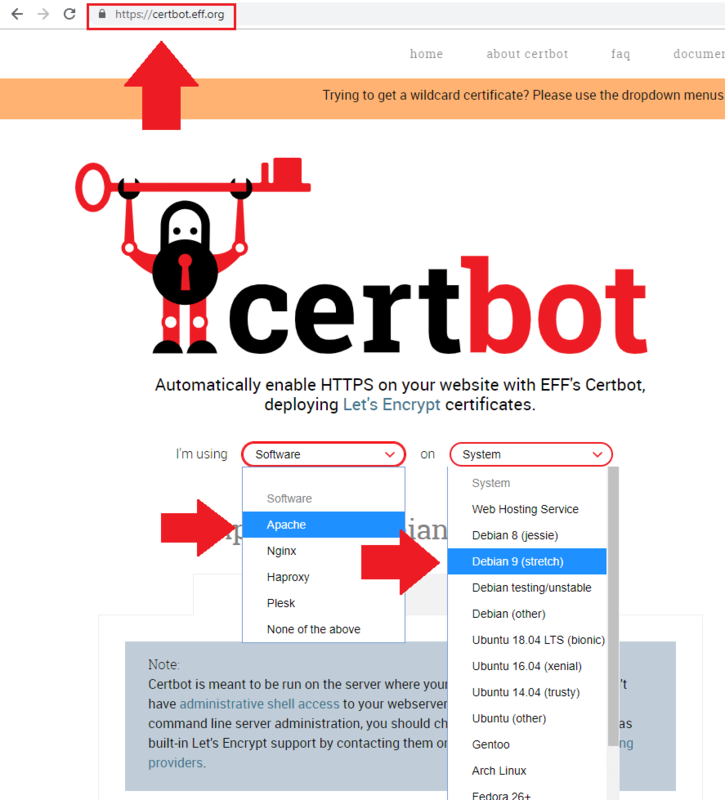 Now that you’ve installed Certbot, the next step is to generate the SSL certificates. Return to the certbot.eff.org website and copy the second command. Return to your SSH terminal and paste the command that you copied in order to generate the SSL certificates, then press Enter. Now that you’ve pasted the certificate issuing command, you will be prompted with a series of questions. Answer the questions according to the the numbers in the image above, making sure to replace example@gmail.com with your own email address, and 1pagezen.com with your own domain name. In your browser, enter the URL to your WordPress dashboard (with https://). 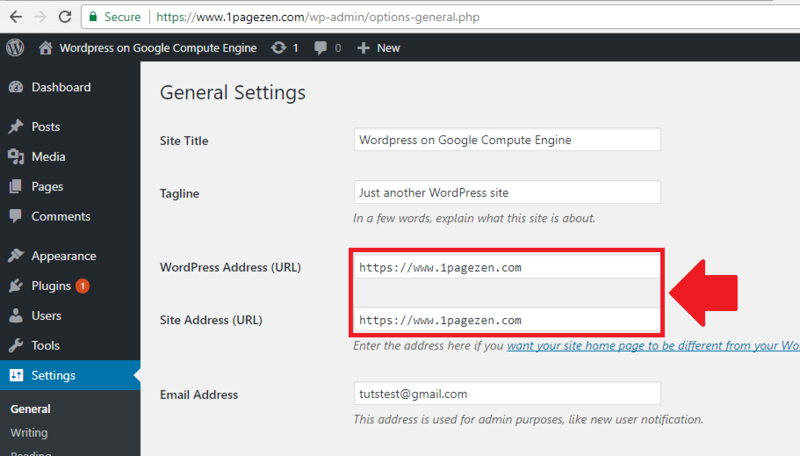 Log in to your WordPress account, then navigate to Settings > General, and replace your current domain name with the https:// version - with or without www. infront. Then, scroll to the bottom of the page and click the Save Changes button. If you run into any issues with your certificates and want to verify that they're configured properly, check out the SSL Checker tool. 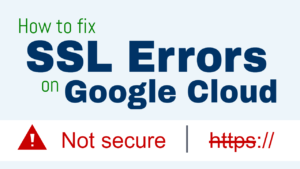 Also check out this tutorial on how to fix SSL errors.